Presenting Ayush: You Heard Him Here First! 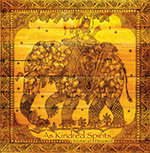 New Putumayo CD features ‘Moods of Kirtan’! Gaura Vani & As Kindred Spirits and the Mayapuris are currently touring all around Australia. Our hosts have provided free live streaming audio from all the events. To listen, sign in at WorldSankirtan.net. Mantralogy Tour 2009: Back at Burning Man!